How would you describe someone who has a heart for dogs? Well, we would say they love dogs. We know this because they’re constantly surrounded by dogs. They’re the one who constantly post cute pictures of dogs on facebook. Dogs are their passion, their first love. They go out of their way to help care for neglected or abused dogs. Their life revolves around dogs. Now take that same idea and apply it to spiritual matters, how would you describe someone who has a heart for the lost? In the same terms? Sure. But in doing so, you would describing the apostle Paul. Let’s take a look at how he expressed a heart for the lost and learn how you can imitate him. (16) – Paul’s inner-spirit was deeply troubled by the sight of an entire city of Athens given over to rampant idolatry. (17-34) – Paul’s emotional distress over the sight of so many unbelievers pushed him to teach anyone who would listen, whether it was in the local synagogue (17), or the marketplace (17), or with leading philosophers (18), or in the cities central court the Areopagus (19-34). Paul tried to teach Christ to anyone who would listen. (18) – Paul is brought to tears as he recalls those who had become enemies of the cross, just as he did for those who would fall away in Ephesus (ref. Acts 20:29-32) and those who were falling away or had fallen away in Corinth (ref. 2 Corinthians 2:4; cf. 1 Corinthians 11:30). (17, 20-4:1) – Paul’s tears of anguish drove him to teach, not only those who stayed faithful but also those who had fallen away. The epistles of 1 & 2 Corinthians were written to a group that, I believe, still included some of the fallen away among their number. Additionally, Paul instructed Timothy to teach those who had swerved from the truth (ref. 1 Timothy 1:3-11), just as Paul himself did. (9:1-3; 10:1) – Paul’s had “great sorrow and unceasing anguish” in his heart because his fellow Jews, though they were very religious, were lost. So great was his anguish, he was willing to be cut-off from God, if it meant his fellow Jews would be saved. (10:1) – Paul’s heart-ache over the religiously lost Jews lead him to do two things. First, pray for them. Second, teach them whenever and wherever he could (Acts 9:20, 28; 13:14; 14:1; 16:13; 17:2, 10; 18:4; 19:10; 28:17). Paul’s first course of action whenever he came to a new town was to find the local synagogue and teach the Jews why Jesus was the Christ (ref. Acts 9:20; 17:1-3). There is no doubt, Paul had a heart for the lost. His constant plea was for others to follow his example (ref. 1 Corinthians 4:16; 11:1; Philippians 3:17; 1 Thessalonians 1:6; 2 Thessalonians 3:9). With that in mind, how then can you follow Paul’s example and have a heart for the lost? Be grounded in your faith. Paul was definitely a man who knew what he believed (ref. 2 Timothy 1:12). He was “rooted and built up… and established” in his faith (Colossians 2:7). A well grounded faith is a must if you are to have a heart for the lost. Otherwise, what will you share with them if you don’t really believe it yourself. Why did Paul constantly travel from city to city teach others? Because he had a sense of urgency, he knew the eternal punishment that awaited the lost (ref. Colossians 1:28-29; 2 Timothy 4:1-2). Time and time again, he alerted people to the destruction that awaited those who reject Jesus as Lord and Savior (Philippians 3:19). If you are to have a heart for the lost then you must live with a sense of urgency because of the destruction that awaits the lost. Allow your emotions to drive you. Paul’s heart for the lost manifested itself in an outpouring of emotions for them (Acts 17:16; Philippians 3:18; 2 Corinthians 2:4; Romans 9:2-3). His emotions were a catalyst for action. I’ve met far too many Christians who think it is a godly virtue to not allow their emotions to drive them to do anything spiritual. However, if you are going to imitate Paul’s heart for the lost, then you must allow your emotions, especially the heart-ache, to drive you to act. Driving emotions will come when you are grounded in your faith, and have a sense of urgency. Share the good news of Jesus with someone today. Paul’s heart for the lost was evident by his actions. He shared the good news of Jesus with someone everyday of his post-conversion life. If you are truly going to be a person who has a heart for the lost, then you must do something to help bring them to Jesus. There are two things that Paul did that you can do too, pray and share. Pray for the lost, and share Jesus with them. Then it can be said that you have a heart for the lost. May we all have a heart for the lost. If I can help you in anyway email me at clay@claygentry.com. Amen! 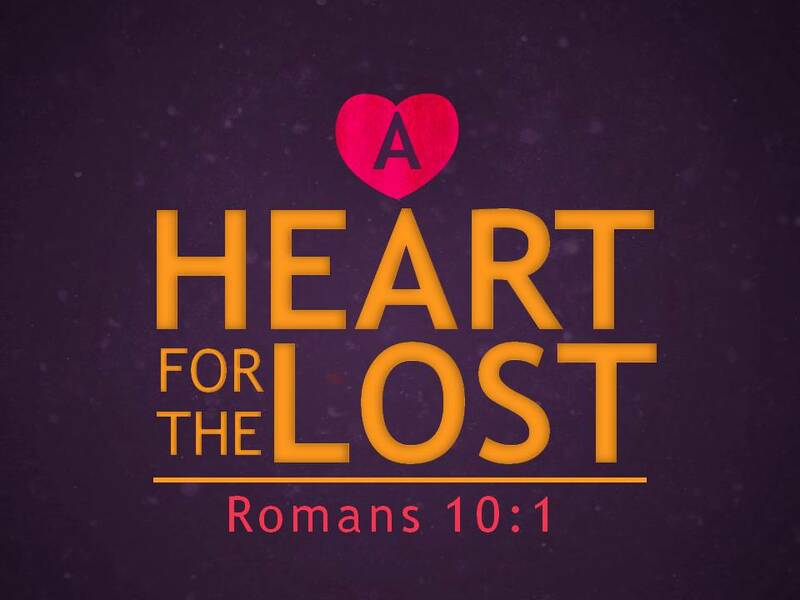 God give us all a heart for the lost! Good article, why did Paul become all things to all men? That he might by all means save some (1 cor. 9:22). I’m gonna “steal” this for a sermon idea. No suing allowed (1 cor. 6)…(smile).